A new partnership between Sam Houston State University and Huntsville Memorial Hospital is expected to strengthen the nursing program in both organizations and benefit the Huntsville community as well. Five SHSU nursing students are the first to receive fellowships from HMH to assist them with completing their formal education and provide additional training in the hospital units of their choice. The students will hold the fellowships until six months following their graduation. At that time, they will become staff nurses at HMH in the unit for which they have trained. The students are Megan Cress, of Willis; Molly McMillan, of Pflugerville; Lauren Mullane, of Cleveland; Matt Nadzak, of The Woodlands; and Amber Prichard, of Huntsville. It marks the first time the hospital has entered into such an agreement with an academic nursing program. The students will be paid for the training they receive in a hospital setting, and in return, they will commit to two years of employment at HMH. All the recipients are in their final semester of the program at Sam Houston State. They were selected for the fellowships through a competitive application and interview process in which representatives from the nursing staff at HMH and the nursing department at SHSU participated. The students are paid from the hospital’s education budget, rather than the units’ individual budgets, because they will not be carrying a patient load. After they graduate, they will advance to a “graduate nurse” status and receive a pay raise, while continuing to participate in training and classes at the hospital. “Once they pass their National Council Licensure Examinations they will become registered nurses and receive another pay raise,” Stiles said. Prichard looks at the opportunity to work in her hometown hospital as a way to contribute to the community. The nursing program at HMHl is working toward The Pathway to Excellence status, a designation by the American Nurses Credentialing Center, which recognizes health care organizations for positive practice environments where nurses excel. Donna Stewart, Huntsville Memorial’s chief nursing officer, believes the partnership between HMH and SHSU will strengthen the ability of the hospital to provide superior nursing care and help move the hospital’s program toward the prestigious designation. “With these students, we will have nurses who are newly educated in cutting-edge technology, computer savvy, and well-trained to complement our existing, experienced staff,” she said. 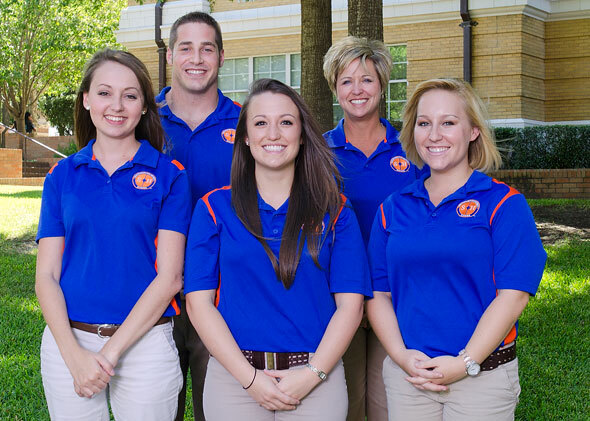 Stiles believes the partnership has advantages for SHSU’s nursing program as well. Knowing that they will be able to go immediately into their specialized area of interest is also a tremendous benefit, Stiles said.